Sesame Street Oscar the Grouch! Who left all this garbage in the hallway? OH! We recognize that GROUCH! 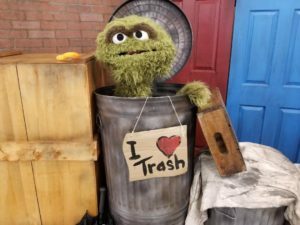 Stop by for a photo op supporting Sesame Street's Yellow Feather Fund and let Feature Presentation know how much you love trash!